The German organized "Tuareg Rally" in Morocco, this year held from March 3-10, is well known for his uncomplicated and familiar organization - and because you need no license also as a great entry-race if you want to start in the Rallyraid-Sport. Mostly made for Motorbikes (the organizers are Bikers), the Rally is also open for Cars, Quads and SSV. The Organizers announced the competitors list for this year´s edition and in the race we will see 90 Motorbikes in different classes, 16 Cars, 9 Quads and 5 SSV/Buggies. 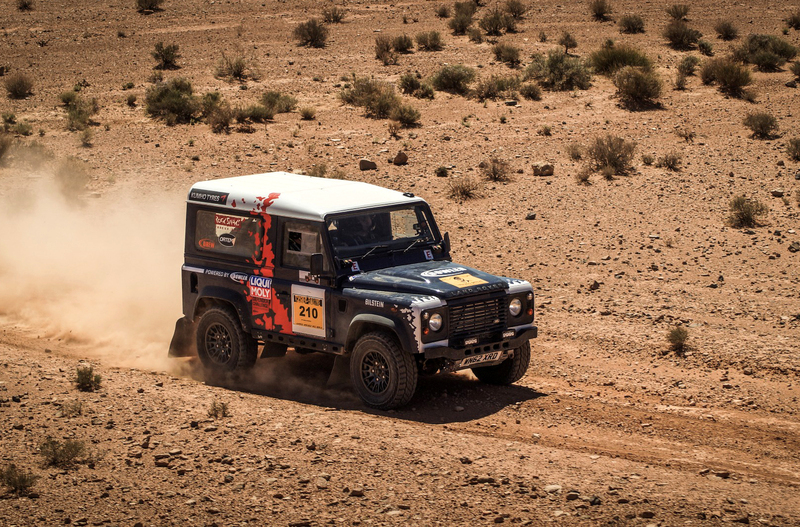 The rally is held in the Midelt and Merzouga region, in seven days the rally will cover about 2,300 kilometers including the only big dunes in the Erg Chebbi region. Because the event is mostly well known for beginners, big names are rare - but this also has its own charme. Many teams are using this event to test their new vehicles or teams under protected rally-conditions. Some interesting starters are the former 1-2-3 winner in the bikes Thorsten Kaiser, Dominique Robin and Mathieu Delmotte, the winner of the "Baja Deutschland" Janiko Naber, the inventor of the SAM-Mercedes Rallycar Sven Knorr, Bike-rally specialist Martin Fontyn or Volkswagen-Rallybus driver Bernd Jaeger. Bowler Motorsport will use the event as test for the new Bowler Bulldog. But one team is very special: "X-raid" - or here better "X-raid for fun". Yes, we can see the inventor and owner of the X-raid Team Sven Quandt with his partner Annett Fischer, enjoying their private holidays not in a X-raid Mini or Buggy, but in a SSV. Our Dutch colleagues from Rallymaniacs will follow the event with daily reports. More informations about the rally you can find on the official website.